Will A Real Estate Agent Do A Better Job Selling Your Home? So, you want to sell your home? The first question is, should you sell it using a real estate agent, or do you sell your home yourself FSBO? Well, there's no clear-cut answer. It really depends on you and how successful you are likely to be at selling real estate. Fact is; some people lack the time, people skills, marketing skills, negotiating skills and even the inclination to sell their own home. For others, selling their home comes as an exciting challenge they can't resist. Obviously, the big advantage of selling your home yourself, is that you do not pay a real estate agents commission. In most instances the real estate agents commission will amount to several thousand dollars. Make no mistake; if you dream of making a larger down-payment on your next home, or want to retire, or simply want to hang onto the equity you've worked so hard for - then you could save thousands by paying yourself NOT a real estate agent. On the other hand, hiring a real estate agent and paying thousands in real estate agents commissions, could be money well spent. A case in point would be when a real estate agent gets you a better sale price for your home. Again, there are a lot of variables to consider: like your own ability and enthusiasm verses the experience of a professional real estate agent. There are pros and cons for each method of selling. A lot will depend on you or the skill of the real estate agent representing you. Most real estate agents would argue; if you needed a heart operation would you perform it yourself, or have an experienced heart surgeon do it for you? Maybe they are right? Maybe you do need a professional who is experienced in the business for selling homes? But, the counter argument is, that an increasing number of people are successfully selling their own homes FSBO, without the services of an experienced real estate agent. 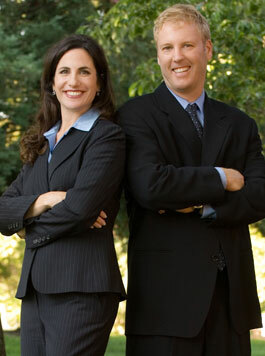 What's more, they are saving themselves thousands of dollars in real estate agents commissions. Real estate agents will also argue that; selling a home in today's market is not like it was a decade ago. The real estate market, as well as the buyer's, are much more astute and the laws more complex. Sell Your Home Yourself Add to this the statistics real estate agents have, proving that the average real estate agent has a better chance of selling your home in a shorter time span (and frequently for more money) than the average FSBO seller. But, what's average? Not every seller is the same and nor is every real estate agent. There's no shortage of incompetent real estate agents and there plenty of "super capable" ones too. The trick is differentiating the good from the bad! With that said, perhaps the biggest obstacle a seller faces is the "emotional attachment" they have to the property being sold. The home might be where the kids grew up, or where the family pet is buried. It might also have been designed, decorated, or landscaped to the sellers' personal tastes. That's why many sellers are blind to the flaws that a real estate agent can easily spot. And, that is also why a real estate agent may have a different view of what the home is really worth in todays market. An experienced real estate agent can provide a seller with a Comparative Market Analysis (CMA), so the seller knows what the home is actually worth, instead of what the seller feels it is worth. A real estate agent can provide an independent and objective view which can be the difference in making a sale. So, think carefully before deciding what home selling method suits you best. You may be able to do a far better job and sell your home yourself and save yourself thousands of dollars in real estate agents commissions. If you don't genuinely believe you can do a better job, then you might be best to consider listing with a local real estate agent. Choose carefully, interview more than one real estate agent and ask for testimonials from satisfied customers.